This article shows how to set up the Arduino IDE so you can use it to program Arduino boards and ATmega or ATtiny chips without the overhead of the core Arduino functions, and gives alternatives to the most common core functions. 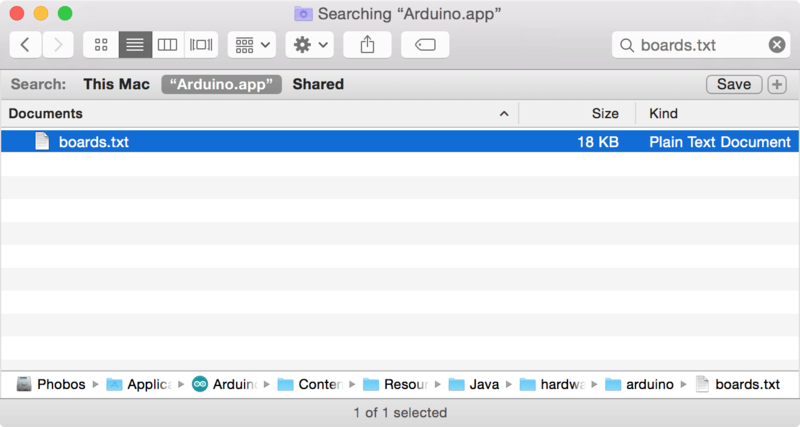 The Arduino IDE provides a simple user interface for compiling and downloading programs to Arduino boards and stand-alone AVR chips. Although it's less fully featured than the official Atmel product, Atmel Studio , it's less daunting for beginners to use, and more importantly for me, it works on the Mac which isn't currently supported by Atmel Studio. In addition to providing a programming environment, the Arduino IDE provides a core set of functions, called the "core", designed to make programming the Arduino Uno and other Arduino boards easier for beginners, removing the need to refer directly to the processor's registers, timer/counters, and other modules . Cores have also been written for many other members of the ATmega and ATtiny series, so you can use most of the same functions with these chips too; see Choosing a Friendly AVR Chip. However as I've become more familiar with the datasheets of the chips I'm using I've found advantages in accessing their registers directly, rather than using the Arduino core functions. You avoid the time and memory overhead imposed by many of the core functions, so your code can run faster and use less RAM and program memory. Your code is fully portable to other development systems, such as Atmel Studio. You can program AVR chips for which no Arduino core is available; all you need to do is provide an appropriate section in the boards.txt file. Ctrl-click on the Arduino.app icon and choose Show Package Contents from the context menu. Ctrl-click on the boards.txt file and choose Show in Enclosing Folder from the context menu. Double-click the boards.txt file to edit it. 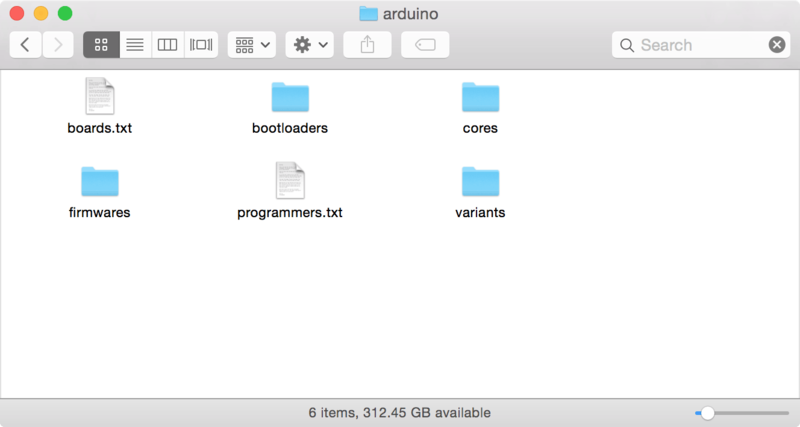 Note that if you prefer not to change the existing Arduino Uno section you could create a copy of the settings with a different prefix, such as unoempty, and a different name, such as Arduino Uno Empty, and make the change to that. Then select Arduino Uno Empty from the Boards menu. 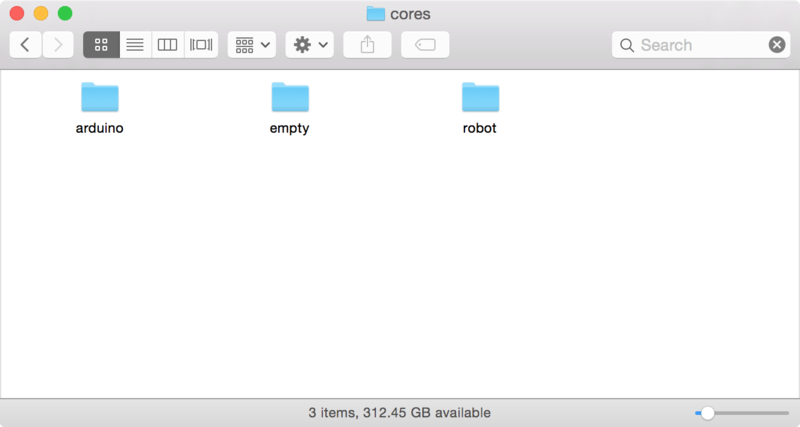 Now double-click the cores folder to show the cores. There should be arduino and robot folders. You should now be able to compile and run the Blink sketch in the following section. Like the original Blink sketch supplied with the Arduino IDE this should flash the LED connected to pin 13 on the Arduino Uno. The different parts of this are explained in the section Alternatives to core functions below. You don't need to add the empty core folder because the tiny or attiny cores already include one. To program an I/O pin you first need to check which register and bit number it corresponds to. For example, Arduino pin 13 is equivalent to PB5. This will set pin 9 to 1000/1024 * 5V, or 4.88V. Note that Counter must be defined as volatile or the compiler will optimise it out of the loop, eliminating the delay. For more accurate delays, and to implement timers like millis(), you need to set up a Timer/Counter as a timer, or use the Watchdog Timer. 23rd April 2016: I have now tested this on IDE version 1.6.8 and updated the instructions slightly to describe the differences. ^ Atmel Studio on the Atmel site. ^ Language Reference on the Arduino site.